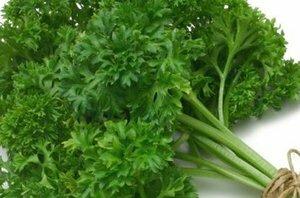 Parsley is widely used in Middle Eastern, European, and American cooking. Curly leaf parsley is used often as a garnish. Root parsley can also be used as a snack or a vegetable.